Dr. Hans Walter Doppelbaur was born at 8th September, 1927 in Augsburg (Bavaria, Germany). His interest in biology and especially floristics started already in his early days. 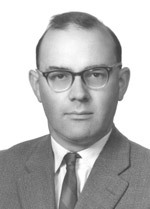 He studied biology at the University of München and completed his doctoral thesis on endolithic lichens in 1958 with Prof. Dr. O. Renner as supervisor. Already at his time as a student, Hans W. Doppelbaur collected a number of lichens, lichenicolous fungi, myxomycetes and other fungi (e. g. Didymium melanospermum in 1948, Abrothallus prodiens in 1949 and Illosporium carneum in 1951). From 1959 until his death he worked as a high school teacher in Günzburg/ Donau (Bavaria, Germany). At this time his scientific interest switched from lichens to plant parasitic fungi and he started to cooperate with Hanna Ernst. Dr. Hanna Ernst, was born at 5th March, 1928 in Burghausen (Bavaria, Germany). 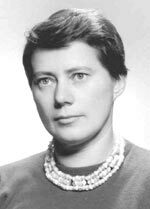 She was fellow student of Hans W. Doppelbaur and completed her doctoral thesis in 1955 on Chlorella with Prof. Dr. O. Kandler as supervisor. H. Ernst and H. Doppelbaur undertook joint excursions to notify observations on plant pathogenic fungi and collect material (see an early sample with both persons as collectors). They held close connections with their lichenological and mycological teachers, colleagues and friends A. Bresinsky, O. Klement, J. Poelt, A. Schröppel and M. Steiner. In 1966, Hanna and Hans W. Doppelbaur married and intensified their joint studies especially on plant parasitic fungi of Southern Germany from the surroundings of Günzburg. They published a number of papers. In 7th December, 1970, Hanna and Hans W. Doppelbaur died in Erlangen (Bavaria, Germany). Several contributions honour their life and work. The herbarium H. & H. Doppelbaur (c. 11,900 vascular plants, c. 6,500 fungi, c. 4,800 lichens, 153 plant galls, 79 algae) and a collection of over 3,000 punch cards with observations on the occurrence of phytopathogenic fungi in Southern Germany between 1950 and 1970 are now housed at the Botanische Staatssammlung München (M). Their bryophyte collection was included in the private herbarium of R. Lübenau (Kempten, Bavaria, Germany). Currently 460 Erysiphales specimens and 58 Myxomycetes specimens collected by Hans and Hanna Doppelbaur (Hanna Ernst) and 21,348 records of phytopathogenic fungi observed by Hans and Hanna Doppelbaur are presented on the internet via searchable web interfaces.